The final Psychic Discipline available to more than one army from the BYB. I'm sure we'll see more from individual armies where powers are randomly generated *sigh* so we'll head back to this series as armies are provided to us. Until then, let's look at what might not be a terrible discipline! The following armies can access Telepathy: Space Marines, Dark Angels, Bloody Angels, Chaos Space Marines, Eldar, Imperial Guard, Tyranids. Primaris - Psychic Shriek. Hey, a useful Primaris. A useful Primaris bodes well for the Discipline as a whole as you have a safety net if you wish to gamble with the random generation. It's damage based with a roll of 3D6-leadership being how many automatic wounds are inflicted. This is obviously better against low Ld units but on average you're going to down between one and four wounds. With 3D6 you have a bit more reliability in terms of the bell-curve at rolling in the average area (between 11 and 12) but you can still get some crazy high numbers and crazy low numbers. The very nice part here is the wounds ignore armor and cover so whatever damage you do do is likely to stick. With a range of only 12" it's not huge and won't be used consistently throughout the game. If you have and Ld reducing options in your army however, this can become a very nasty damage dealing spell when in range. 1 - Dominate. 24" range malediction where the unit must pass a Leadership test any time it wishes to move, shoot, run or declare a charge. If it fails, the unit can make no further actions that turn. This is best used against a unit which wants to do a lot of actions in a given turn - i.e. move, shoot, assault. This gives you the highest chance of stopping them from doing something. Otherwise any lower leadership based unit is more likely to fail one of those checks and whilst the gains are unlikely to be huge, any disruption to your opponent is welcome. 2 - Mental Fortitude. 24" range blessing which allows target unit to automatically regroup if falling back and gains the fearless USR. Not as good as it could have been in 5th edition where falling back could mean escorting off the table but handing out the minimal drawback Fearless USR is great particularly because you can make it situational. Approaching deathstar? Chuck a now Fearless tarpit in their way and they could be bogged down - just make sure they don't bog down for your shooting phase only! 3 - Puppet Master. A focused witchfire attack which forces an enemy model (you pick because it's a focused witchfire) to immediately make a shooting attack. Only exception is it cannot target its own unit. Range of 24" means you can use this quite a few times throughout the game unlike some of the shorter ranged powers and this gives you a lot of options in damaging your opponent - you can essentially use some of their firepower against them! 4 - Terrify. 24" maledicition which takes away the Fearless USR. The enemy unit also treats all enemy units as having Fear (so potential for WS1 in combat) and must immediately take a morale check. Another good option for snubbing deathstars if they have Fearless - commence multiple tank shocks. Stripping Fearless from other units such as mass Orks/small Tyranids is a great way to plow through a Fearless tarpit when your opponent isn't looking for it. Options like Stubborn & ATSKNF still exist though so this isn't the be-all-end-all of answers to combat tarpits. 5 - Invisibility. The only downside of this power is Warp Charge 2... which limits who can use it unfortunately. A 24" blessing which grants a unit the Shrouding and Stealth USRs (aka +3 cover save) whilst also ensuring the counter-attack rule cannot be used against them and any enemy unit targeting them in combat is WS1. Count me in! This is great for a larger unit with poor saves *looking at Tyranids* or anything which is afraid of low AP firepower *looking at Paladins* and is going to end up in combat at some point. 6 - Hallucination. 2 warp charge. 24" and roll on D3 table. 1-2 auto pinned. 3-4 cannot run, shoot, declare charges or strike blows. 5-6 each model inflicts single hit on own unit. Another decent power but comes in with a Warp Charge 2 cost. It's sort of like Psychotroke grenades at range but no matter the result, you're getting something good. 24" range and roll on an essential D3 table where first result is auto-pinned (unless immune), cannot do voluntary actions next turn except move and final result is each model in the unit inflicts a single hit with their best weapon upon the unit. Either way - you're effectively diminishing a unit's effectiveness for at worst, a turn and at best, the entire game (i.e. they damage themselves). A great counter to really beefy combat units but otherwise just solid disruption. 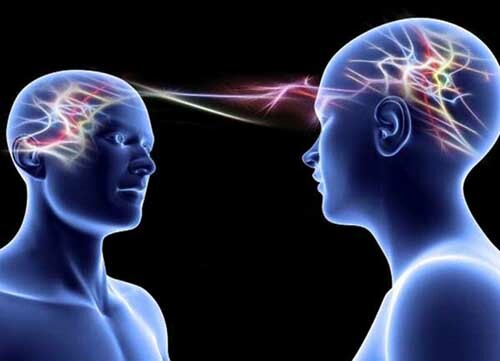 What's interesting about Telepathy is it has two Warp Charge 2 powers which means...each spell has a base chance of 25% of being rolled. So if you have two dice, you have a much higher chance than normal to get something you want. Add in the Primaris being useful and there's a decent spell set there with lots of utility backed up by a damage primaris power. However, two of the best powers are in the Warp Charge 2 slot and not a lot of models are really worth having Mastery Level 2 outside of special characters. If you have such a character - you can get great use out of such spells, particularly if they have a lot of rolls on the table but upgrading your psyker to get access to that 2nd Warp Charge probably isn't worth it. Otherwise a lot of good utility spells here which if you don't have a use for, can be swapped out for a decent damaging spell which if you have Ld reduction abilities elsewhere, can be killer.